In an effort to better understand student perceptions of communication in blended (online and traditional) learning courses, a 22 item questionnaire was developed and sent to all students registered for these courses at a large technology-focused college during three quarters of instruction. The respondents were divided into four groups: 1) hearing, 2) deaf, 3) hard-of-hearing (D/HH), and 3) English as a second language (ESL). Their perceptions of communication and the blended learning experience were examined. While the hearing and ESL students were positive about blended learning, the findings indicated that deaf and hard-of-hearing students reported that both the quality and quantity of their interactions with the professor and other students was greatly improved by the inclusion of an online component. ESL and hearing students were also positive about the blended experience; but the greatest benefit to communication access was observed by students with a hearing loss. Long, G., Vignare, K., Rappold, R. & Mallory, J. (2007). Access to Communication for Deaf, Hard-of-Hearing and ESL Students in Blended Learning Courses. 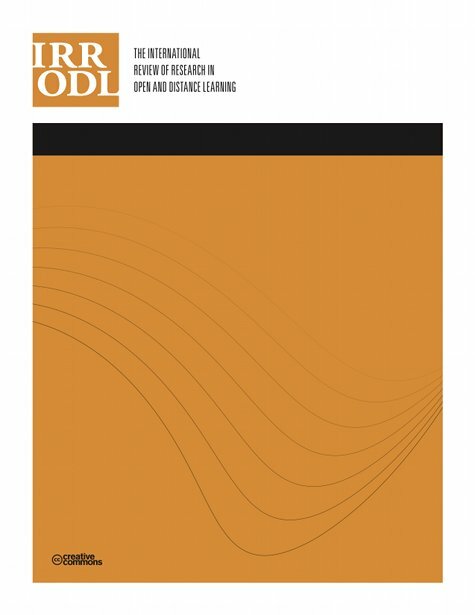 The International Review of Research in Open and Distributed Learning, 8 (3),. Athabasca University Press. Retrieved April 22, 2019 from https://www.learntechlib.org/p/49150/. Antia, S., Reed, S., & Kreimeyer, K. (2005). Written language of deaf and hard-of-hearing students in public schools. Journal of Deaf Studies and Deaf Education, 10 (3), 244-255. Bishop, J.M., Taylor, L., & Froy, F. (2000). Computer-mediated communication use by the deaf and hard-of-hearing. Kybernetes, 29(9/10), 1078-1086. Dansereau, D. (1988). Cooperative Learning Strategies. In C.E. Weinstein, E.T. Goetz, & P.A. Alexander (Eds. ), Learning and Study Strategies: Issues in assessment, instruction and evaluation (pp. 103-129). San Diego, CA: Academic Press. Harasim, L., Hiltz, S.R., Teles, L. & Turroff, M. (1995). Learning Networks: A field guide to teaching and learning online. Cambridge, MA: MIT Press. Hertz-Lazarowitz, R., & Bar-Natan, I. (2001). Writing development of Arab and Jewish students using Cooperative Learning (CL) and Computer-Mediated Communication (CMC). Computers& Education, 39(1), 19-36. Humbert, J., & Vignare, K. (2004). RIT introduces blended learning– successfully! In J.C. Moore (Ed. ), Elements of Quality Online Education: Engaging communities, wisdom from the Sloan Consortium, Volume 2 in the ‘Wisdom Series.’ Needham, MA: Sloan Center for Online Education. Iran-Nejad, A. (1990). Active and dynamic self-regulation of learning processes. Review of Educational Research, 60 (4), 573-602. Johnson, D., & Johnson, R. (1986). Mainstreaming Hearing Impaired Students: The effect of effort in communicating on cooperation and interpersonal attraction. The Journal of Psychology, 119(1), 31-44. Lang, H. (2002). Higher education for deaf students: Research priorities for the new millennium. Journal of Deaf Education and Deaf Studies, 7 (4), 267-280. Liu, M., Moore, Z., Graham, L., & Lee, S. (2003). A Look at the Research on Computer-based Technology Use in Second Language Learning: A review of the literature from 1990-2000. Long, G., & Beil, D. (2005). The importance of direct communication during continuing education workshops for deaf and hard-of-hearing professionals. Journal of Postsecondary Education and Disability. 18(1), 5-11. Phillips, D.C., & Soltis, J.F. (2004). Perspectives on learning (4th edition). New York: Teachers College Press. Pintrich, C.J., Marx, R.W., & Boyle, R.A. (1993). Beyond ‘Cold’ Conceptual Change: The role of motivational beliefs and classroom contextual factors in the process of conceptual change. Review of Educational Research, 63, 167-199. Richardson, J., Long, G., & Woodley, A. (2003). Academic engagement and perceptions of quality in distance education. Open Learning, 18(3), 223-244. Stinson, M., & Liu, Y. (1999). Participation of deaf and hard-of-hearing students in classes with hearing students. Journal of Deaf Studies and Deaf Education, 4 (3), 190-202.